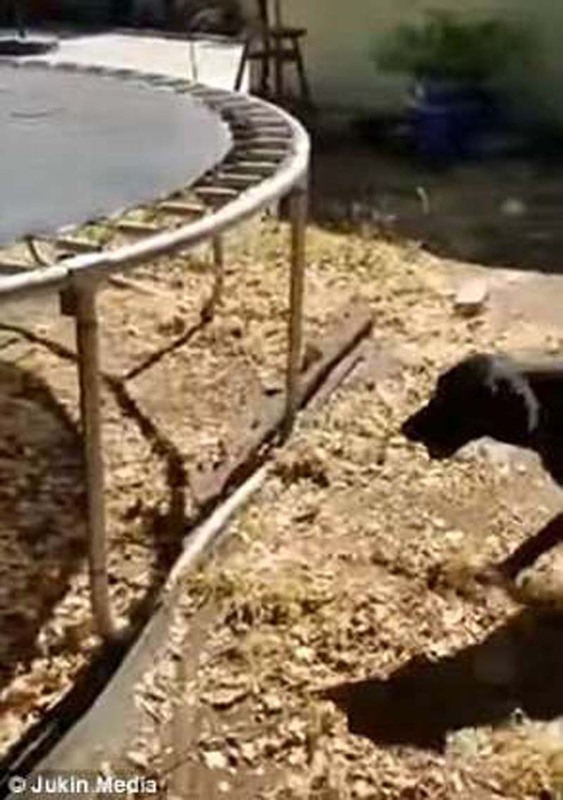 Bear the dog from California used his owner's trampoline to play fetch with himself. After placing the ball on the mat, he ran underneath and nudged the ball into the air with his nose before catching it. In the dog days of summer, it can be hard to find someone to play with. But luckily for a five-year-old Lab mix dog called Bear from California, he managed to come up with something all on his own: a game of fetch that didn't require another person to throw the ball. 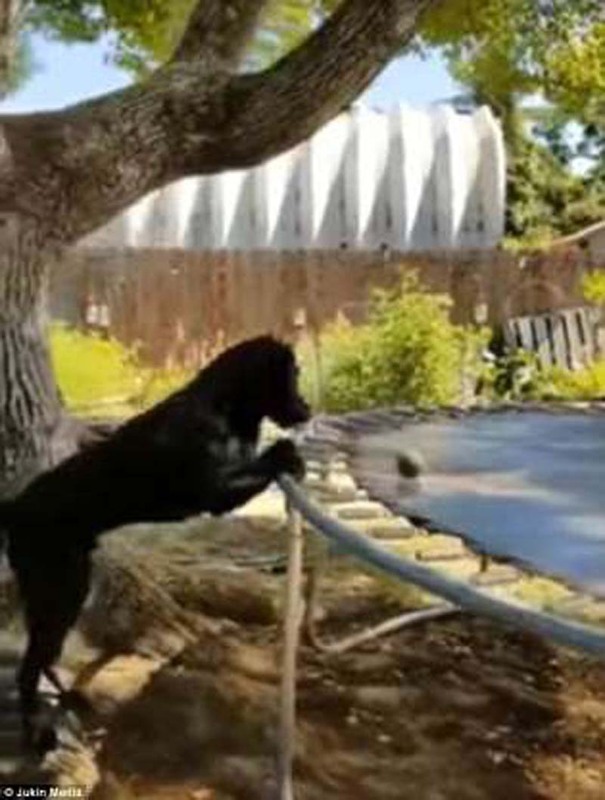 It was all about precision timing as Bear used a trampoline in his owner's Napa backyard to place a tennis ball on top. 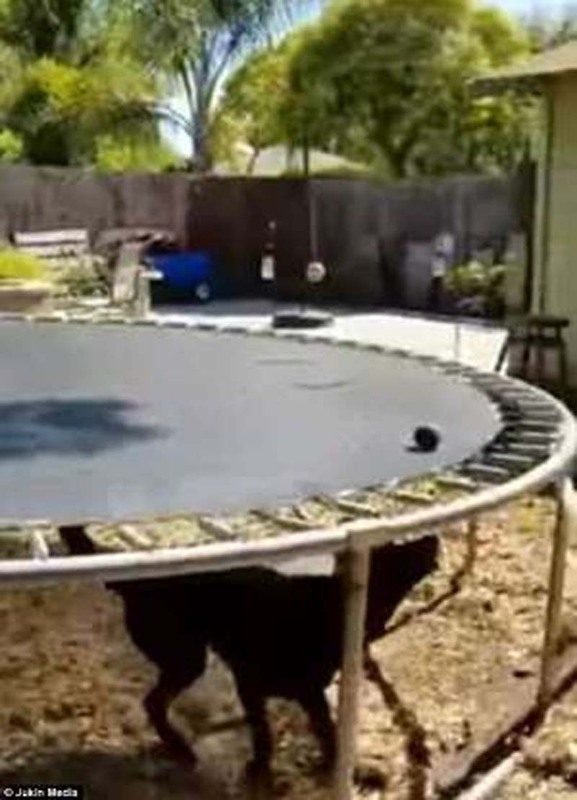 Then he would quickly run underneath and nudge the ball with his nose, causing it to bounce off the trampoline. The ball could be seen flying up in the air as it bounced along the surface. For Bear, all that mattered was that he would be there at the other side to catch it. Then, the game would start all over again with the happy black dog began hitting the ball around his backyard. The owners have had Bear since he was an eight-week-old puppy. They say that he 'discovered' the game after his ball got stuck in the trampoline net one day. 'When our kids were little and bouncing he would bounce with them. As they climbed in, he would drop a ball in the net with them,' said owner Stephanie Venuta.